1. Coming To Meet (Hexagram 44) describes a “correct” relationship as one in which two people come to meet each other halfway. Halfway means that both are open and receptive to each other. Coming to meet halfway also must be mutually voluntary. 5. It is impossible to come to meet such a person halfway and it is better for us to go on our way alone and to wait until the fundamentals of unity are firmly established before we commit ourselves to other people. 6. When we cater to another person’s ego because it is uncomfortable to go on our way alone, we choose the high road of comfort rather the low road of modesty and loneliness. Withdrawal from the high road is the action often counseled by the I Ching (The Classic Chinese Book of Changes). 7. If a person is treating us presumptuously, and if we remind him (or her) of this, he may correct his habits for a few days, but gradually revert to the same pattern of neglect. This he does from egotistical indolence (apathy), something in his point of view makes him feel he has the right to be indifferent. 8. Likewise, we must withdraw from the indolent person, “cutting our inner strings” of attachment to him, and no longer look at his wrongdoings with our inner eye (preoccupations, self talk, ideations etc.). 9. This enables the person to see what he is doing in the mirror created by the void. By dispersing any alienation we may feel, we also lend strength to his superior self. Momentarily, his ego is overcome. We need to realize that his change is short-lived, but it is an essential beginning. The change does not last because it is only founded on his response to feeling the void. It becomes permanent change when he sees clearly that unity with others depends upon his devoting himself to correcting his mistakes. Only then can we abandon a more formal way of relating to him. 10. 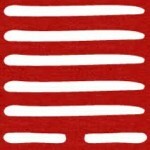 The sense of loss, loneliness, or poverty of self a person feels on our withdrawing from him is called “punishment”(in the I Ching), but I prefer the term “mindful disengagement.” Mindful disengagement works only if it is applied in the way described—we must consistently and immediately withdraw, neither contending with him nor trying to force progress by leverage. We withdraw accepting his state of mind, letting him go. We must take care not to withdraw with any other attitude than that required to maintain inner serenity, and to keep from “giving up on” him (or her). 11. If on the other hand we withdraw with feelings of alienation, or of self-righteousness, our ego is involved as the punisher. The ego lacks “the power and authority” to punish. The culprits not only do not submit, but “by taking up the problem the punisher arouses poisonous hatred against himself.” One person’s ego may not punish another person’s ego. 12. When a person returns to the path of “responding correctly” (being open and receptive) we likewise go to meet him (or her) halfway, rather than tell him he is doing things correctly. In this way he comes to relating correctly from his own need to relate correctly and we do not force it on him. Our consistence and discipline in feeling out each moment and responding to it does the work. 13. It is unnecessary to watch a person’s behavior to see if he is becoming worse or better; we need only be in tune with ourselves. Our inner voice warns us precisely when to withdraw and when to relate. We need only listen within. 14. It is important to work with a situation only so long as the other person is receptive and open, and to retreat the instant this receptivity wanes. When we understand that this represents a natural circle of influence, we learn to “let go” when the moment of influence passes, and not to press our views. This gives other people the space they need to move away from us and return of their own accord. 15. We must avoid egotistical enthusiasm when we think we are making progress, or discouragement when the dark period ensues. Throughout the cycle we learn to remain detached. Holding steadily to the light within us and within others. The instant we strive to influence, we “push upward blindly.” If we insist on accomplishing the goal at all costs, our inner light is darkened and our will to see things through is damaged.